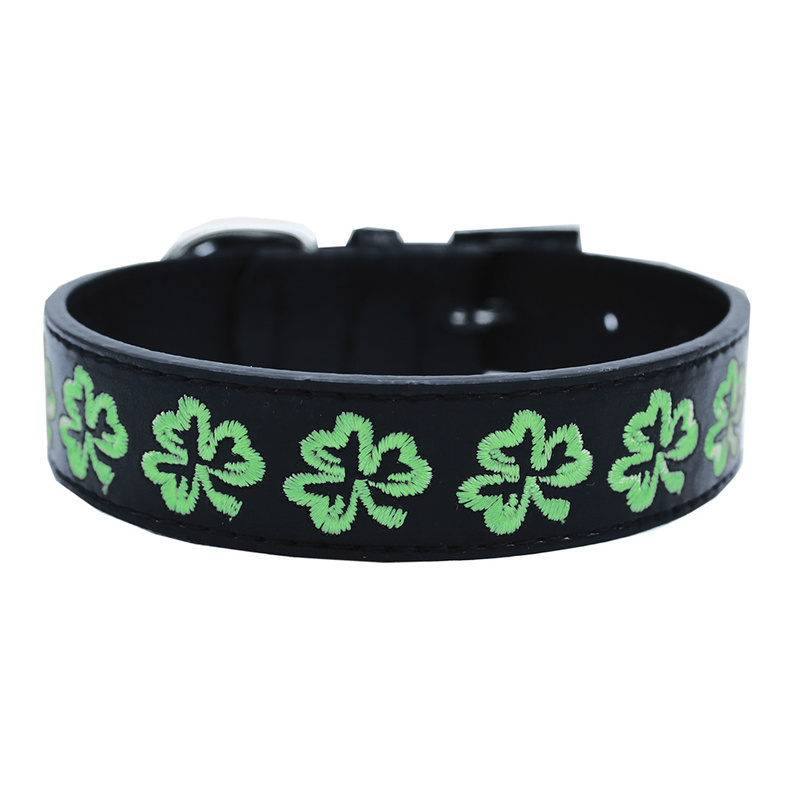 Get ready to party and kick up your paws with this designer Embroidered Shamrock Dog Collar by Mirage! 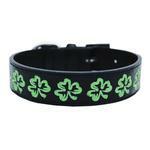 The Embroidered Shamrock Dog Collar will have your dog surrounded with the luck! Collar is made of faux leather with shamrock embroidered design. Buckle collar to adjust to the length needed with no slipping. Great for St. Patrick's Day and year round for your Irish loving dog! The Shamrock dog collar (ultra cool !!! Posted On 04/26/17 by Shelley Huber from Live Oak, FL Yes, Shelley Huber recommends this product! Posted On 02/05/17 by Tiffany P from Fort Myers , FL Yes, Tiffany P recommends this product! Perfect durable collar for my dog to wear for st. Patrick's day! Love the site, but some of the pictures are very limited. You should definitely consider putting up more pics of each product, as dogs are so different in shape and size, with the pics on you site it is very difficult to determine the fit of the item.